Many of the monks at Nyanang Phelgye Ling Monastery come from small villages where the families are very poor and uneducated. 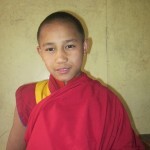 Coming to the monastery provides a unique opportunity for these monks to receive an education in modern subjects in addition to the traditional religious training. When the monks enter the monastery, we take the full responsibility for their welfare, their education, and their health. 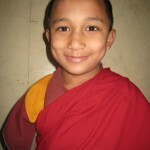 This enables them to focus completely on their studies and to practice the holy Buddha-Dharma. To assist Nyanang Phelgye Ling Monastery in its mission to educate and train monks in the fundamentals of Dharma , we ask that you sponsor a monk here at the monastery. By pledging $25 a month (or any amount you can afford), you will help provide the monks with proper nutrition, medical care, and education. The money will go into a general fund to support all the monks, and you will be given a picture and information about your monk friend with whom you can correspond. If he is too young to write to you, the monastery will provide you with updates on his life and progress. Please contact us at phelgyelingmonastery@gmail.com if you are interested in this worthy project. 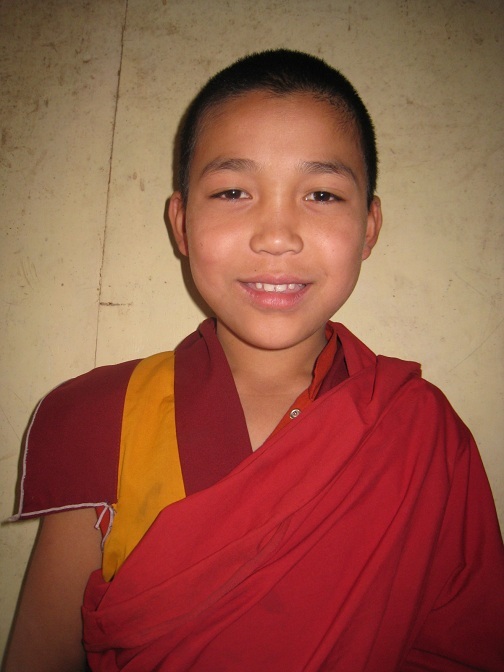 Lobsang Phuntsok is an 8 year old from Sindupalchok. 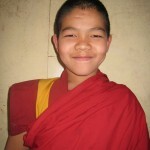 He is the youngest monk at the monastery. He has 1 brother and 1 sister. Lobsang Phuntsok enjoys drawing and playing with the dogs here at the monastery. Such a cute smile! Lobsang Yonten is 8 years old Sherpa from Sindupalchok. He has 3 sisters and 1 brother. He is full of energy and is usually the first one ready for puja. Lobsang Yonten enjoys English class and memorizing scripture. 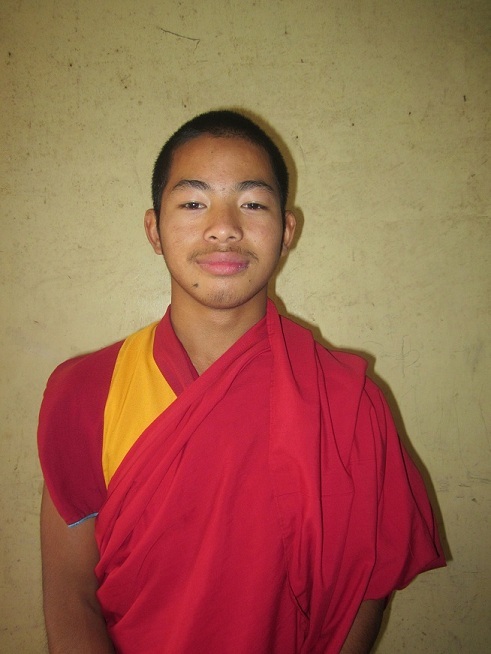 Lobsang Wangchuk, age 15, from Lalitupuri. He has 1 brother and 1 sister. Lobsang Wangchuk is a natural leader and is very helpful in guiding the younger monks in their studies. He is already well known for his ability to memorize scripture very quickly. 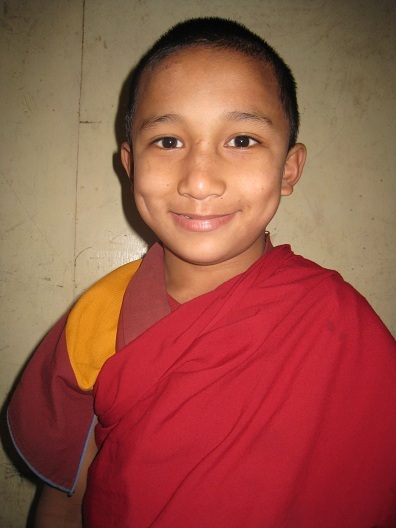 Lobsang Sherab, age 10, from Kathmandu. He is very shy and quiet, but always has a smile on his face. Lobsang Sherab enjoys puja, especially blowing the conch shell during ceremonies. 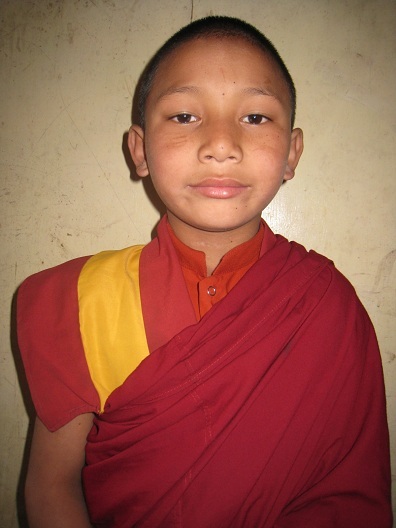 Lobsang Jungney, age 10, from Sindupalchok. He is a very sweet boy who is very gentle and kind with his peers. 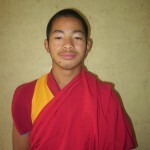 Lobsang Jungney enjoys reading and also likes helping prepare for the pujas. 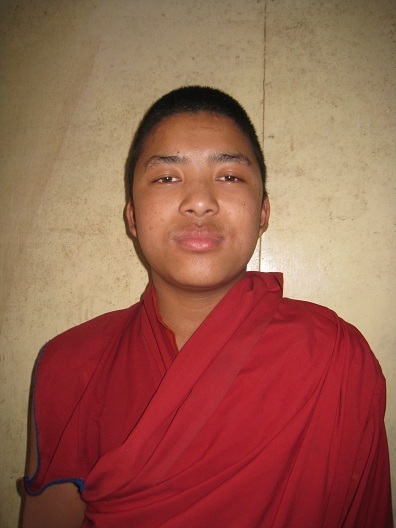 Lobsang Gyaltsen, age 16, from Hetauda. 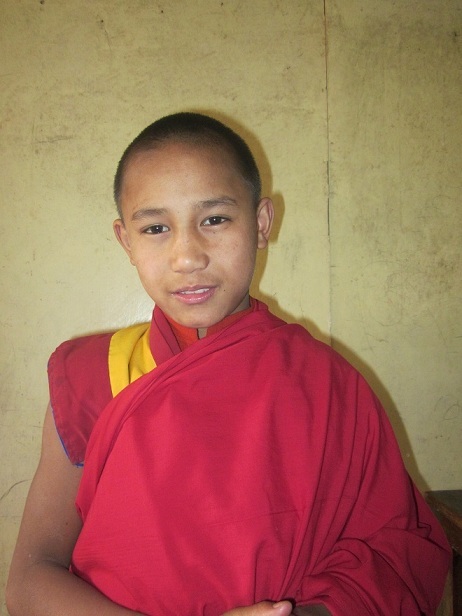 A very smart monk, Lobsang Gyaltsen is very interested in studying English, and spends much of his free time reading English books. 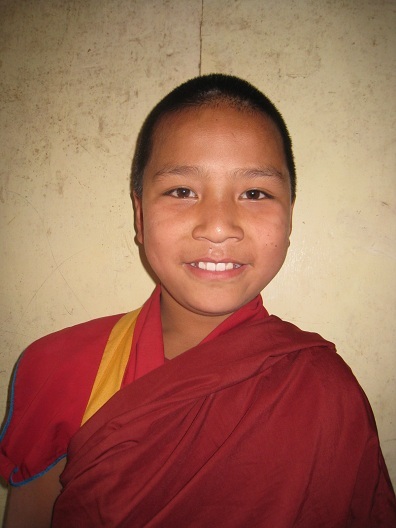 Lobsang Rinchen is a 11 year old Sherpa from Sindupalchok. He has 2 brothers and 1 sister. 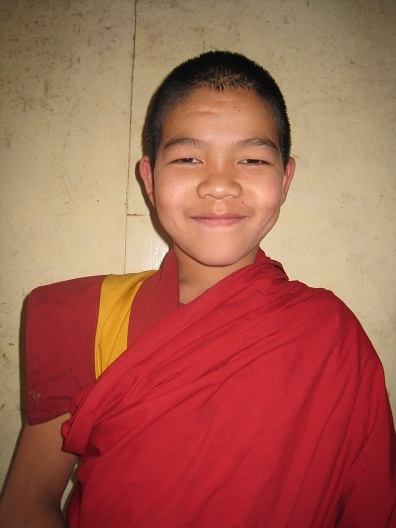 Lobsang Rinchen is a very imaginative boy with a great sense of humor. His favorite subject in school is writing. 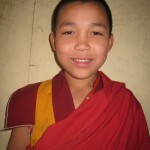 Lobsang Ngawang, age 12, from Kabree. He has 1 brother and 1 sister. 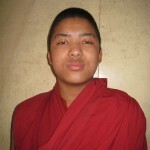 Lobsang Ngawang is a very good student who learns very quickly. He also seems to always be happy and cheerful. He enjoys reading Nepali and English stories, as well as Dharma texts.